Each project has different limitations vis-a-via installation space, mounting materials, installation place, prices, and so on. At InviroTech, we have understood the various needs and demands, and have devised various installation methods and designs which are offered as per the required specs of each project. 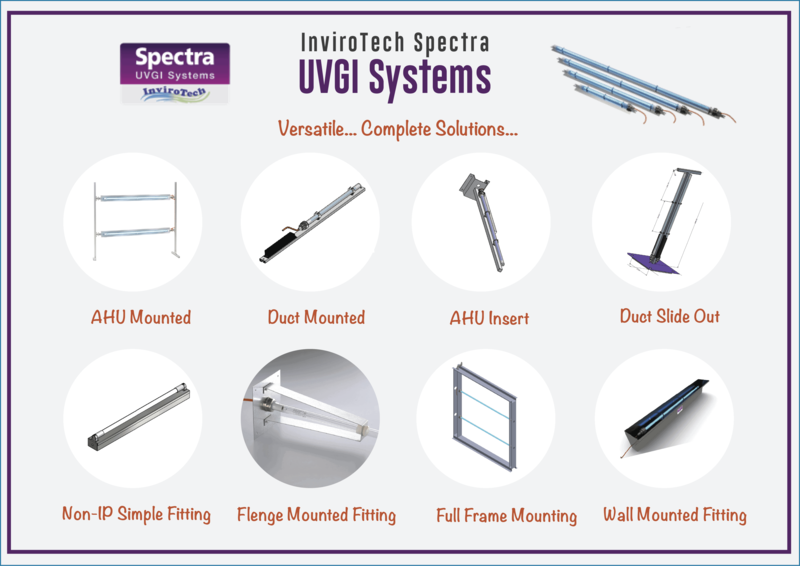 Spectra UVGI Systems’ components are tailor made to withstand the harsh duty conditions of installation in the cold & damp place of air conditioning systems. To know more, write to us.